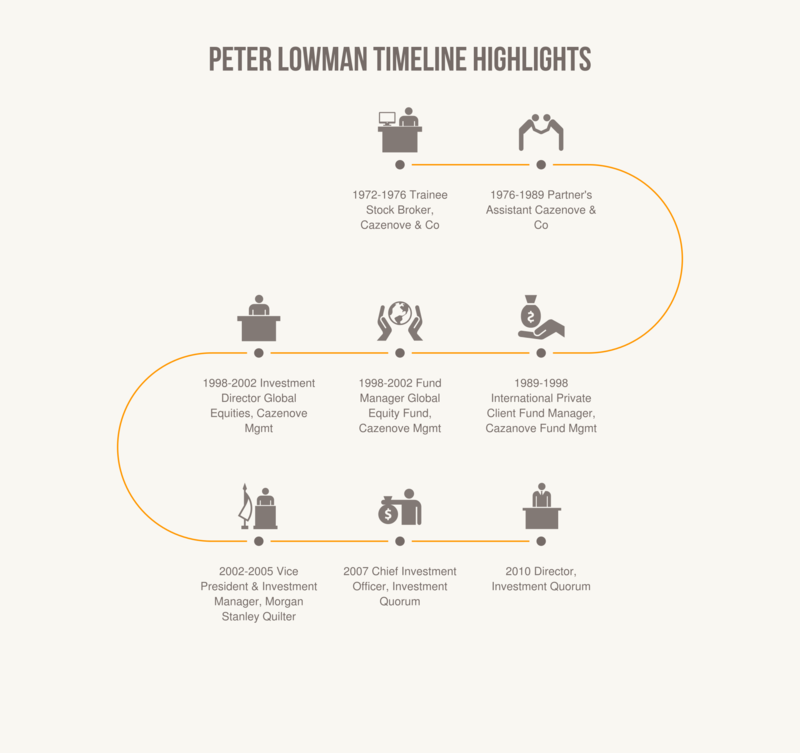 Whilst it would be impossible to list everything we do or get involved in we hope that this quick graphical representation of Peter’s business timeline gives you a flavour of what he has done and continues to do. We will be publishing more of these over the coming weeks of key personnel here at Investment Quorum. Find out more or contact Peter about our wealth management services or call him on 0207 337 1390.